So I’ve mentioned ‘the show game’ moniker in a previous post. It’s that one game I’ll discover/rediscover at a retro gaming event which I find myself returning too throughout the event so much so that it become synonymous with the event itself. For Play:Expo 2014, the computer game I’ve picked as my show game is a fairly modern release on the Commodore 64. 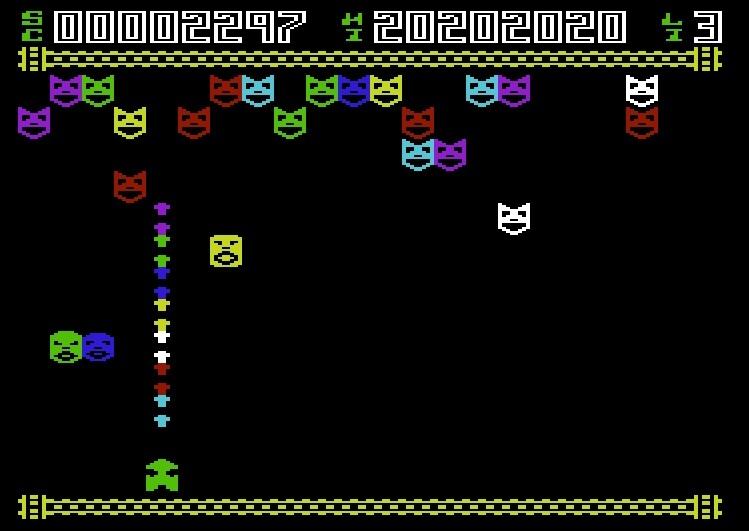 I loved Blitz on the Vic-20, a game I played over and over again back then and still load up from time to time on my Vic. 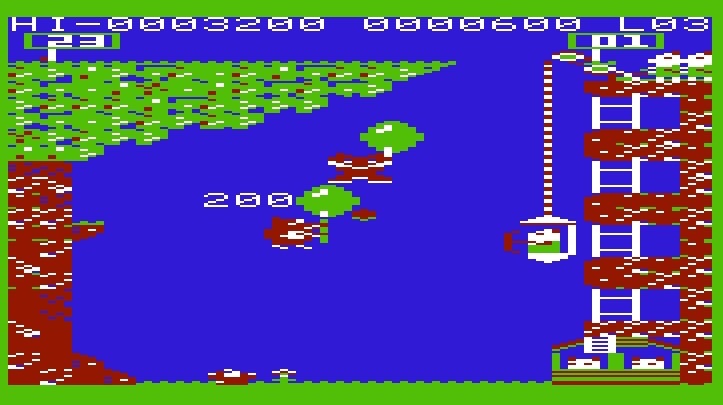 It’s very simple yet this updated C64 version was so much fun and messes with your mind. ‘One more go’ it kept calling! Out of fuel and steadily descending – can your bombing skills clear a path so you can land without crashing into Mrs and Mrs Xenomorphs new domed kitchen extension? 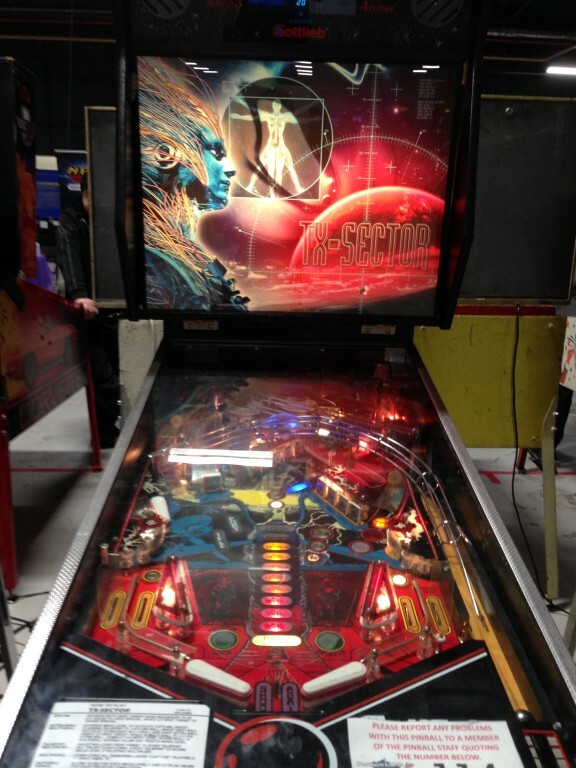 and because Play:Expo is Pinball heaven, my Pinball showgame is…….hmmm, this is quite a tough. 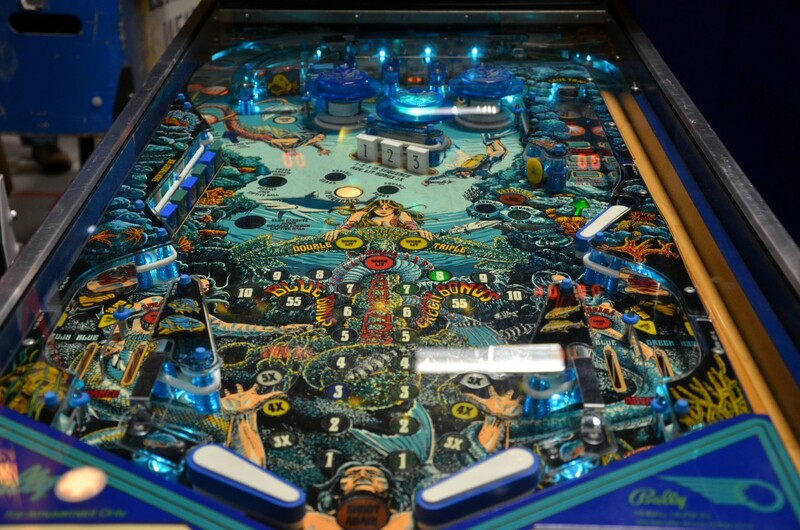 I did play an awful amount of time on Bally’s Fathom purely because I adore the table art…. ….and likewise on Gottliebs Robo-War and TX-Sector for their sci-fi artwork, fast gameplay and uber cool cyclon-esq robotic voices. I’m a bit of a fan of the original Black Knight table and I also play a heck of a lot of its digital counterpart on my iPad courtesy of the Pinball Arcade app. Black Knight 2000 is a much faster game and retains some of the features from original including the useful Magna save to keep you out of trouble on the right hand lane. Completing a rapid succession of fast loops is a real buzz but pales in comparison to lighting King’s Ransom – multiball madness! 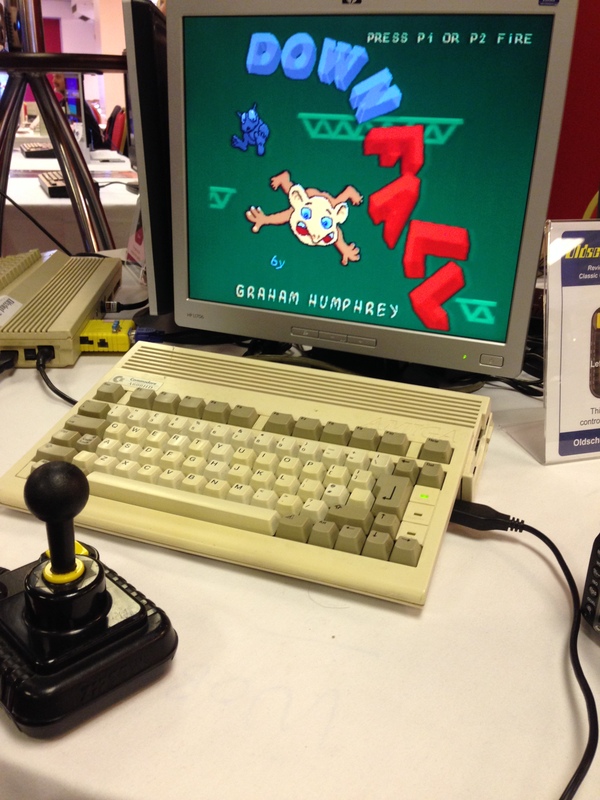 During my visit to Retro Revival last month I spent an enjoyable hour hanging out at the homebrew area set up by OldSchoolGaming and enjoyed some of the titles playing on the C64, Atari 800XL and Amiga. On the Amiga, I was instantly hooked on Downfall,, a cracking little casual game similar to the version I’m familiar with by Reboot on the Atari Jaguar. Retro Revival 2014 – Spot the Chameleon? During you endless journey down, objects will be appear at random which can be collected for points or provide one of many special abilities. For example, on the Jag version there’s a Jetpack and on the Amiga version there’s some go faster shoes. It’s while I was searching for Downfall to add to my Amiga harddrive did I happen to come across a low res screenshot of the game. On closer inspection, I found it to be a WIP port for the C64 and have been messing around with it this afternoon. I’ve got them both running on my PC via WinUAE and Vice and side by side, compared to the Amiga AGA version on the left (of course! ), it looks a bit sparse. However, it’s still the same great game and comes with a tap-tastic SID tune. Down, down, down we fall. Do you know of any other ports of Downfall or games of a similar style? If so, it would be great to hear from you. One week in and we’re thoroughly enjoying the coverage of the Winter Olympics at Sochi. 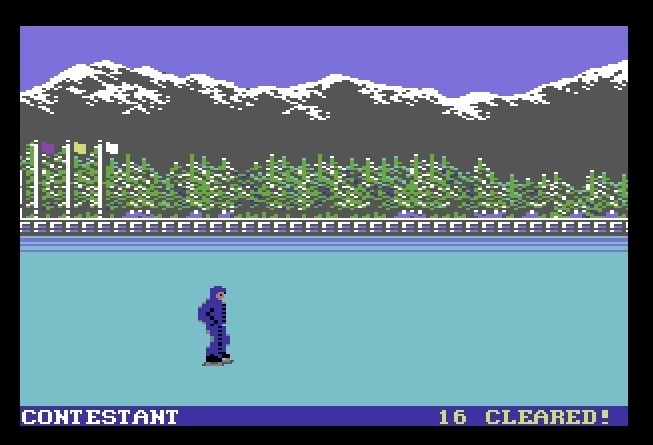 To join in the fun at lunchbreak we thought we’d have our own mini retro game Olympic challenge courtesy of a few choice events from the Epyx series of Winter Games and the Games-Winter Edition on the Commodore 64 (Vice). 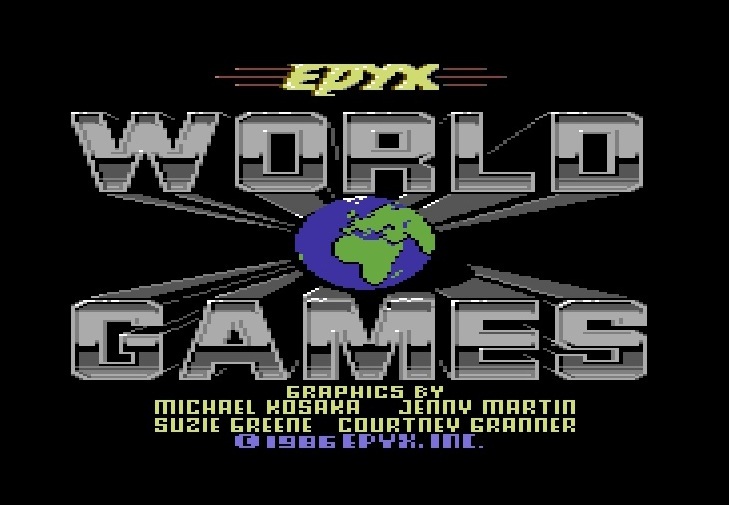 We also loaded World Games to see if anyone could beat our I.T. teams world record of jumping 18 barrels. 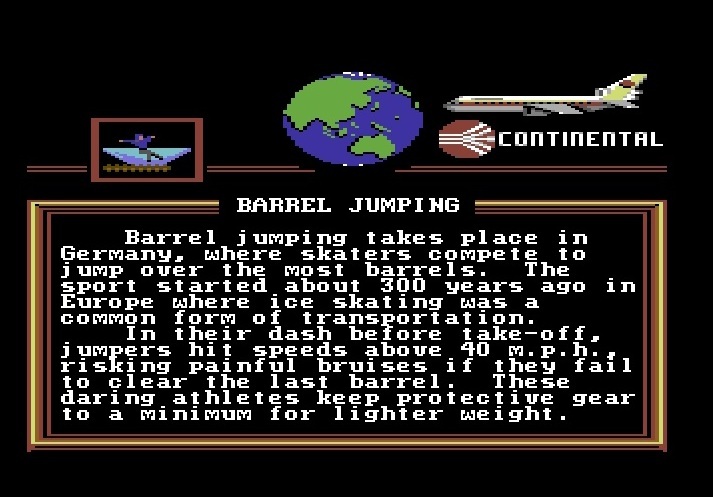 We should petition the International Olympic committee and have Barrel Jumping recognised as an official Olympic sport. After many attempts and multiple fractures later the record still stands at 18 barrels. Going for silver I thought i’d have a go at besting my personal record of 15 barrels. No only do you have to get your skaters rhythm correct, jumping at the last instance is key. I find that looking at the speed gauge and jump line rather than the actual skater seems to help. Contestant StiGGy representing the Kingdom of Epyx (apparently this is where all of the ‘US Gold’ can be found 🙂 flings himself into the air. A brief pause, and woo hoo, made it (only flippin just though!) and the SID chip goes wild. The problem is…now i’ll have to tackle 17 barrels next time. Fancy having a go ? Feel free to post your records in the comments section. Mission accomplished – thanks Gamebase20! I hope all are well and enjoying the first few days of the new year. I start mine on a bit of a high note regarding retro gaming because like an unknown song going round and round in your head, I’ve finally been able to put name to a game I’ve been trying to recollect for nearly thirty years! It was one of the first ‘proper’ computers I had regular access too and I even purchased a few games for it even though it wasn’t my machine. 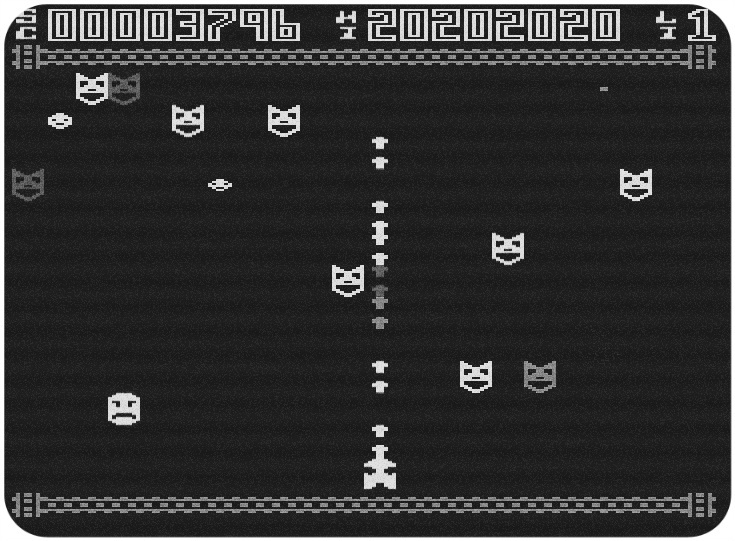 My only recollection of what the game looked like was that contained some sort of mask/face you had to shoot at multiple times….and that’s about it. He has a black and white TV at the time so I have no colour reference either. I’ve been searching for years now and asking around various gaming forums but with so little clues as to what it might be, it’s a game title that’s always eluded me. My cousin has no recollection of the game either…did it even exist I started to wonder? Burned in my brain are those masks though. 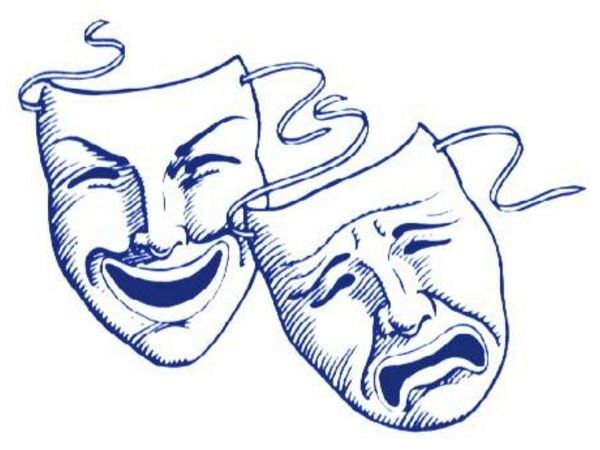 They kinda remind of these that you see depicting laughter and sadness. Especially the smiling one. 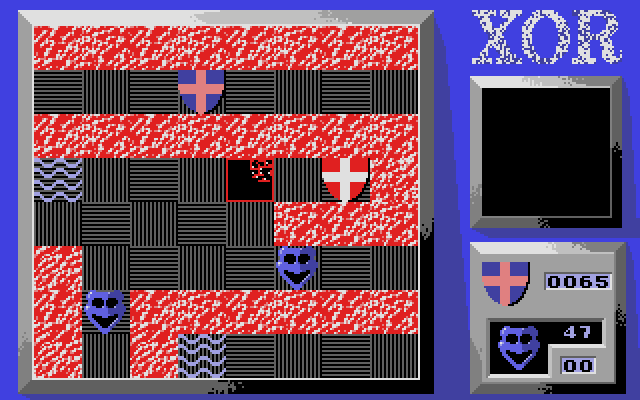 Some years ago I thought I was on the right track with a game called XOR. The masks looked familiar but on playing it (C64 version) I knew that these weren’t the droids I was looking for (sorry…Christmas TV turned out to be a bit of a Star Wars fest). Beside, versions of XOR were available for many computer formats but not the VIC as far as I could see. 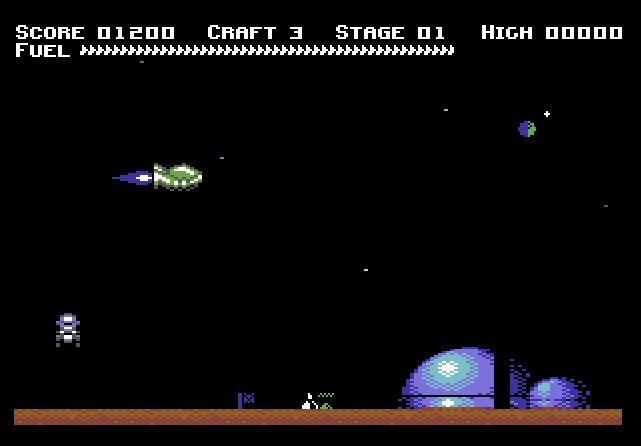 For those time when I’ve not got my Vic-20 setup on the geek desk, I’ll turn to emulation and as an avid user of Gamebase64, I thought it was high time I took a look at the Vic-20 version which has just recently received a large update. I’m sure you all know about Gamebase20 but if not, in a nutshell it’s a nice graphical frontend for running Vic-20 games under VICE and has plenty of tools for searching and the ability to create custom game lists as well as displaying screenshots, cover art and all manner of details about each game. 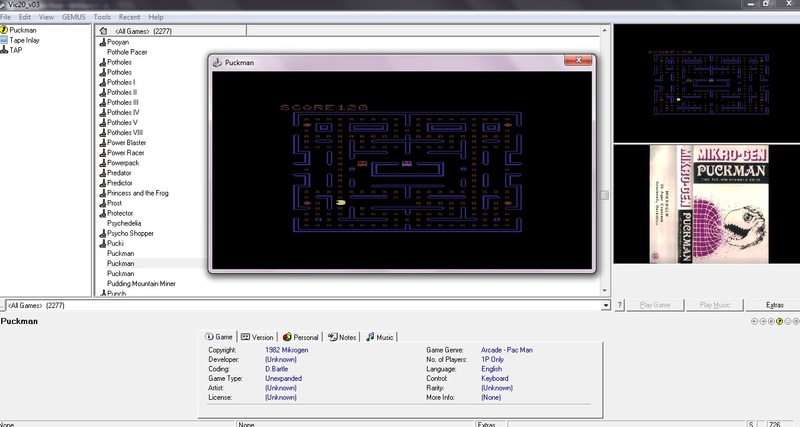 It also configures games to run automatically with the correct RAM configuration settings within VICE…a very handy feature on a computer that has many types of specific RAM requirements. 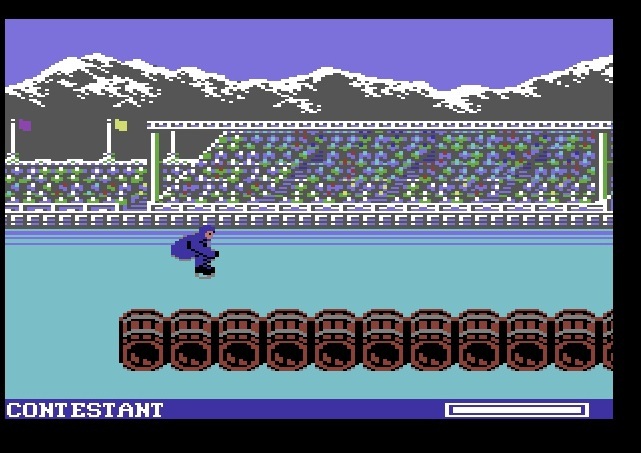 Screenshot from my Gamebase20 – my word, that is one scary looking Puck-man cover! Any-ho (yes, I’m getting there!) 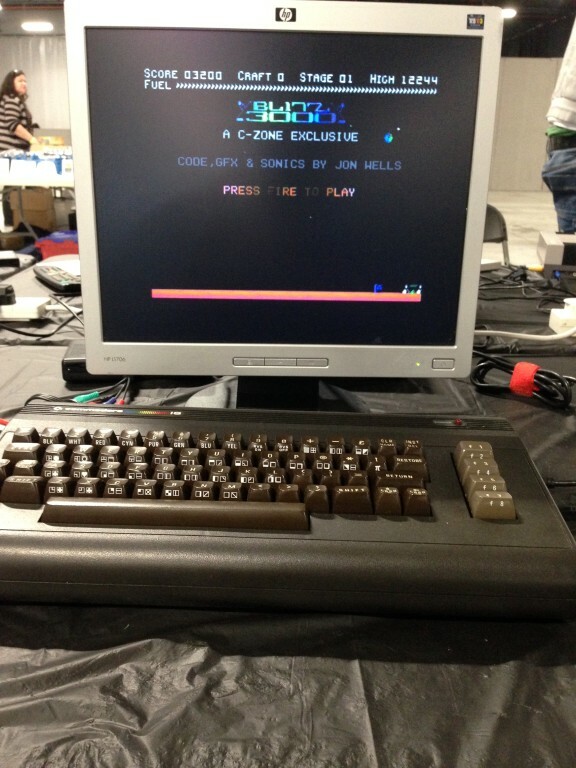 Gamebase20, contains a huge amount of VIC-20 games and so it’s also useful for discovering new(old) games to play. I was browsing around the games list the other day and stopped dead when I saw this particular screenshot. I loaded the game and sure enough, this is the game I’ve been looking for. My mission is well and truly accomplished and I can finally put this puzzle to rest after all these years. 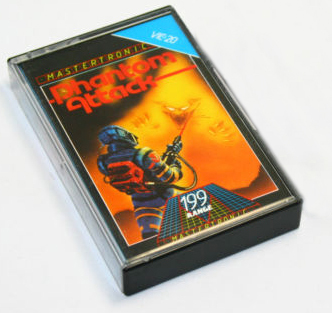 The game is called Phantom Attack, a budget released by (wallet friendly) Mastertronic and contained another of those great Sci-Fi covers Mastertronics used to use on a good proportion of their games (maybe by artist Mark J. Brady?). edit 07/01/2014 – I’ve received a rather nice response to my email to MJB confirming he was the cover artist for this game. But I don’t care, I’m just happy that the little hole in my memory bank has been filled and it’s all thanks to Gamebase20. Hmm, something doesn’t look quite right though. December has certainly been an exciting month for VIC-20 gamers judging by the number of quality releases just lately. It just goes to show how much love there is for Commodore’s friendly computer – take that Iain Lee! The recent downpours and gale force winds we’ve had these past few days have made a bit of mess of things out in the garden and the sunlight shining on the windows only highlights how much crud has been flying about in the wind. That’s been the job this morning but now that all is back in order (until the next storm :-() I can fire up the VIC and settle down to some chunky pixel retro gaming. 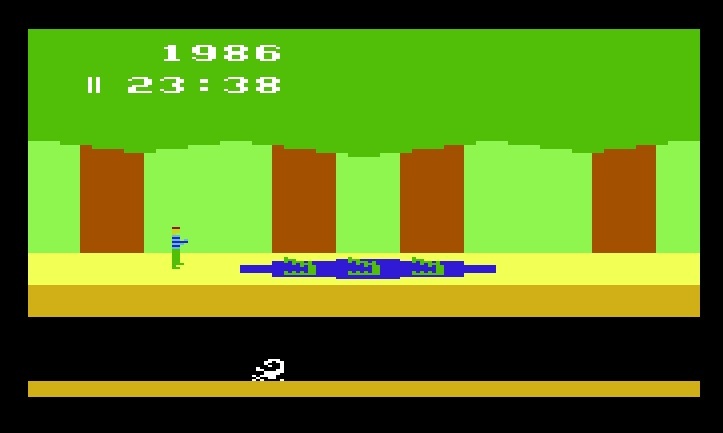 First up we have a port of the Atari 2600 classic, Pitfall. Despite the fact that I’ve never been able to get the timing correct on the Gator levels, this is one hellava enjoyable game and brilliantly executed. It runs perfectly well under Vice but I had to consult the Denial forum for guidance to get it to load on my VIC – try Load “pitfall” ,8 instead of 8, 1. You’ll also need a 16k ram pack as well. I’ve been following the progress of Pooyan for the VIC-20 every since it was mentioned back in August and just before Christmas, a WIP, then ‘almost’ final release was made available. Today I finally get the chance to take it for a spin and can honestly say that I’m absolutely loving it. Although the original game dates back to the early 80’s, it wasn’t until a few years ago that i was introduced to Pooyan on the relatively obscure home micro, the CGL M5 (Sord M5) at one of the gaming events hosted by the Retro Computer Museum. Since then, I’d managed to acquire a copy for my NES and Commodore 64 and subsequently played the hell out of it. This 16k VIC interpretation might not have the eye candy as the other ports (although it does have a great rendition of the intro) the game play is spot on including a perfectly balanced trajectory of that wolf bashing super weapon – I have no idea what it is, but Wiki say’s it’s a slab of meat. Lining up for another shot at those ballooning wolves. 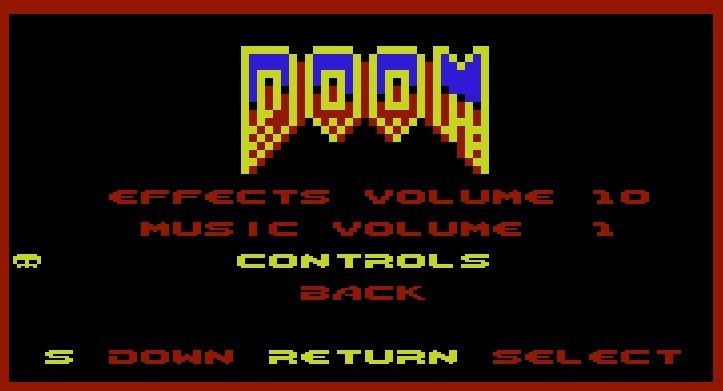 Doom?….on an 8-bit computer? – no flippin way…Doom on a Vic-20? Get outta here. This one has got to make you smile and if you’ve own the right hardware, is one to show off your +30 year old VIC. You’ll need a 32k ram pack for this one so until I can get one myself (8 and 16k here), it’s emulation for me this time around. 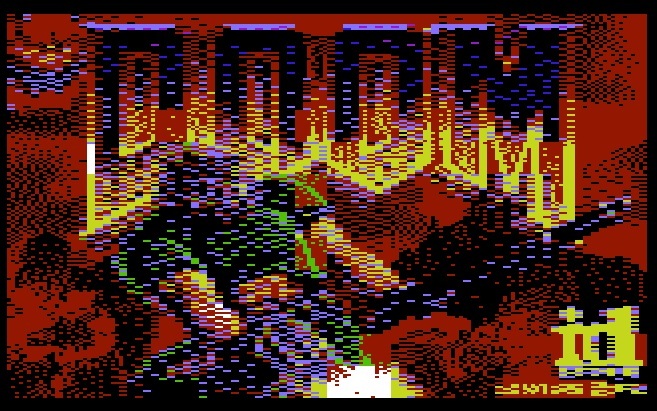 Steve McCrea has done a magnificent job squeezing an approximation of ID’s classic FPS onto our humble VIC’s and comes complete with loading screen, main menu with that Doom sounding FX and even a rendition of ‘at dooms gate’ whilst you play. O.k, so you’re going to have to use your imagination a bit here but it’s still mind blowing stuff when you consider the computer it’s running on. Two guards, having a bad day. I’m always up for a spot of Boulder Dash and this clone is really fun to play because there doesn’t seem to be a pesky timer rushing you around. Not only that, but it’ll quite happily run on an unexpanded VIC. 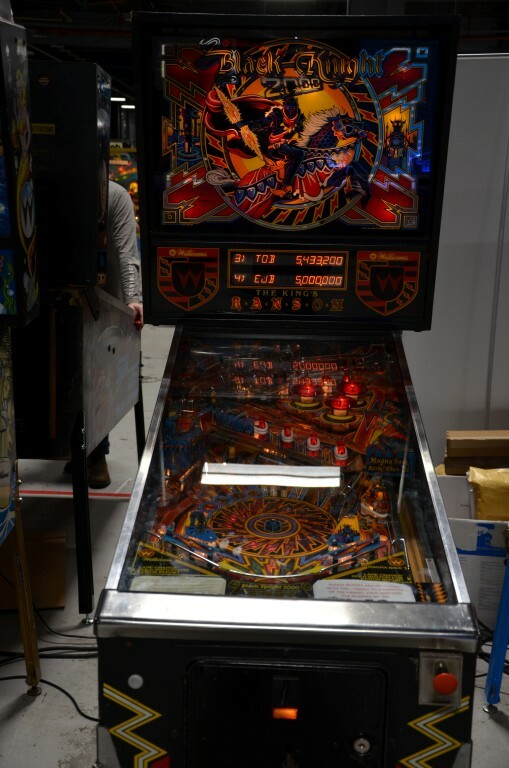 I can see me playing quite a bit of this over the coming winter evenings and well worth checking out if you fancy something really old school. ..and finally we have ‘Mike’s unexpanded type-in collection’ which is a collection of 21 games to sink your teeth into. I’m still going through some of these myself but have already found a few casual gaming gems. To load, it’s best if you use ‘Load “*”,8’ followed by ‘Run’ to bring up the main menu. Dig a little deeper around the internet and you’ll also find a handful of other games released this month as well.